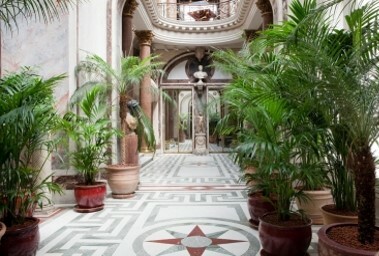 At the Musée Jacquemart André behind the Music Room is the Winter Garden, characteristic of the art of entertaining which developed under the reign of Napoleon III. Imported from Great Britain, this innovation was very successful. It consisted of arranging pot plants, usually exotic ones, under the cover of a glass roof. This green space gave guests somewhere to rest for a moment in a more refreshing environment than the oppressive neighbouring rooms. The vestibule paved in marble with walls adorned with mirrors, leads to an astonishing double helix staircase. It is decorated with sculptures, turning it into a gallery of antiques. But the plants ranged around it remind us that this room was initially a winter garden, suffused by the light falling through the glass roof. When the mansion was opened, this was the room that impressed contemporary visitors the most. 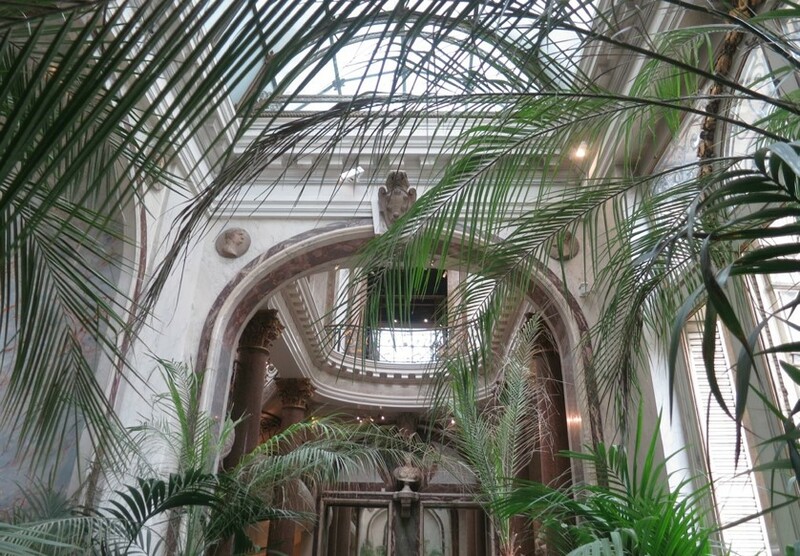 In 1876 the magazine L’Illustration reported: “The marvel of this marvellous palace was indisputably the winter garden […] Our great ladies of fashion found refuge there to avoid the crowds. Only a king or a banker would surely dare to surround himself with such sumptuousness”. This outstanding Achievement is a non-functional construction. A theatrical decor and illusionist amazes by the play of shapes, materials and light. The initiative came from the architect Henri Parent who had at heart to beat Charles Garnier, his competitor in the new Opera House. 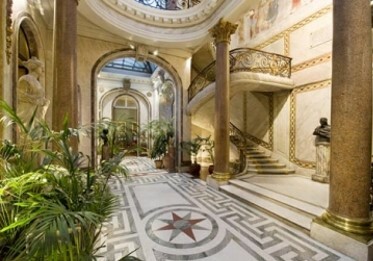 With the monumental staircase, he realizes there the “highlight” of the house that amazes guests of Edouard André.